Eucharistic Ministers are lay parishoners who have been authorized by Church Clergy to administer and distribute the 'True Presence of Jesus Christ', i.e. the 'Consecrated Host', 'Holy Communion', to other parishioners during, and even outside of, the Mass celebration. Typically, Eucharistic Ministers can also distribute 'Holy Communion' to those who are sick and unable or incapable of attending the Mass. Acolytes assist in the worship service by carrying torches, the Gospel book, and the Cross. They gather the offering and assist in the preparation for the Eucharist. Training sessions are held twice a year for Fifth to Twelfth Graders who are willing to commit to six months of training and service. But the service has many other traditional pieces. The parishoners serve in a number of important roles. The lector proclaims the Scripture readings used in the Liturgy of the Word from the official, liturgical book (lectionary) and reads the designated scripture for the day. Ushers provide basic functions required to aid and enhance the worship service. Time commitment is to serve once every three months. The skills needed are friendliness, courtesy, helpfulness, and reliability. The Altar Guild prepares the church for worship as directed by the clergy. This includes all Sunday, midweek, and special services, weddings, and funerals. 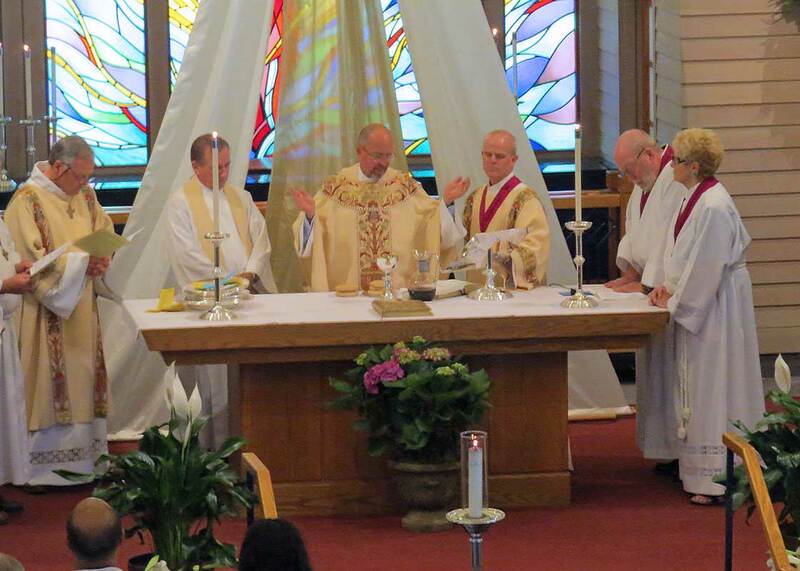 Altar Guild members serve by invitation of the Rector. Members provide for the suitable furnishings and decoration of the Altar. They take due and reverent care of its appearance as well as furnish and care for the linens, the vestments, and the Font. They have general oversight for the appearance of the church. The Music Ministry enhances the worship service, supports the liturgy, and leads the congregational singing. The Healing Ministry is available after the 10 am and at times of need to bringing healing to God's hurting people. They teach others to be compassionate prayer ministers, establish Prayer Teams in our church, and work at integrating our Lord's healing by the power of the Holy Spirit.